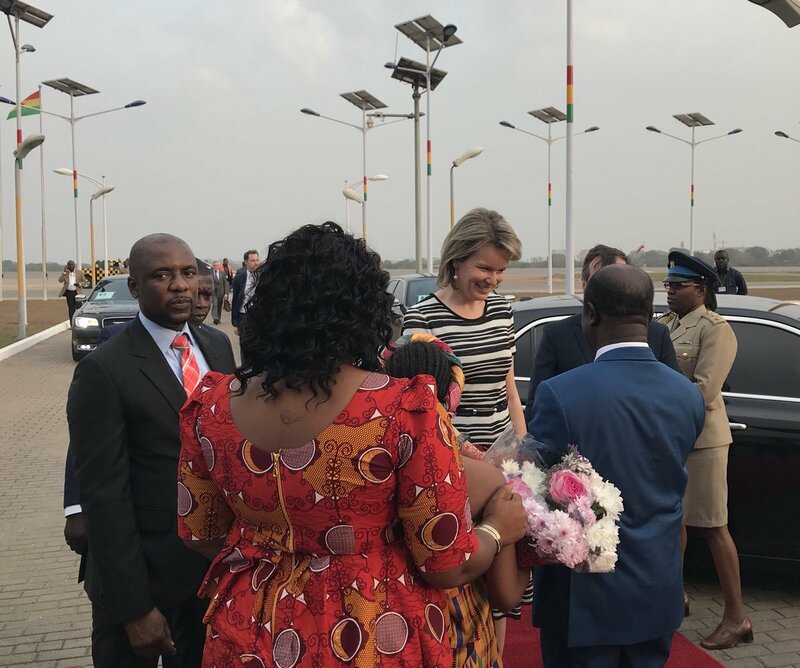 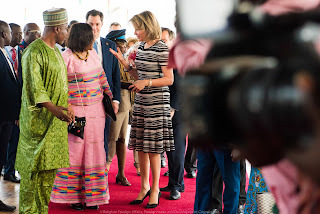 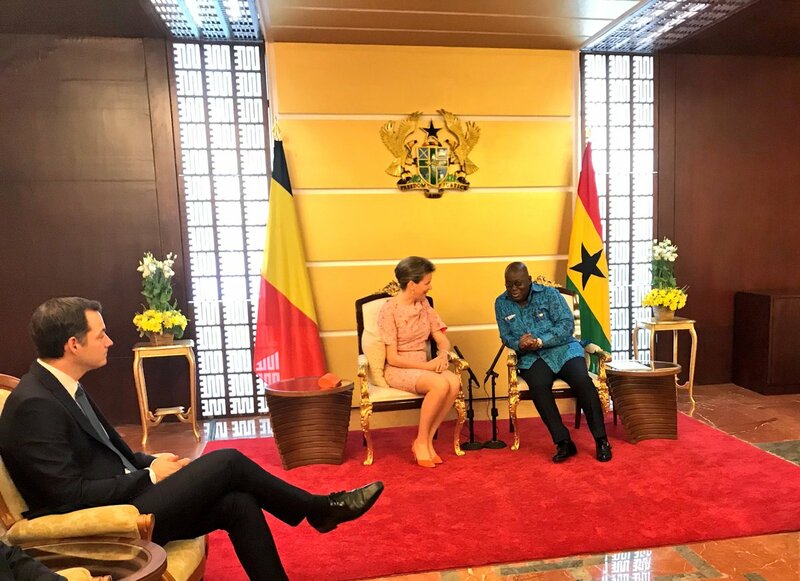 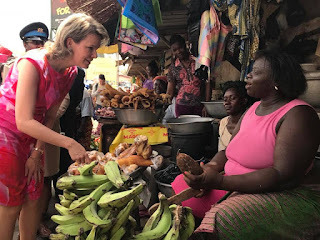 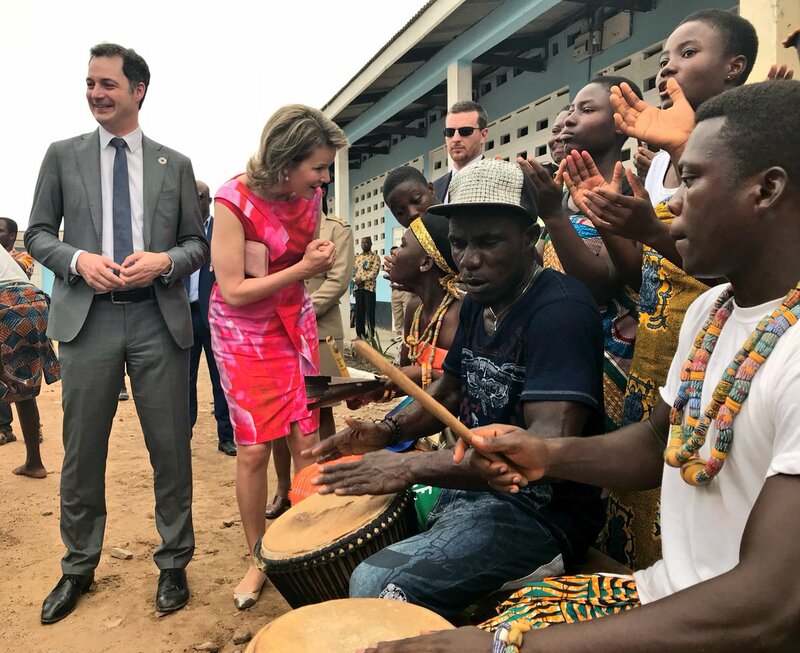 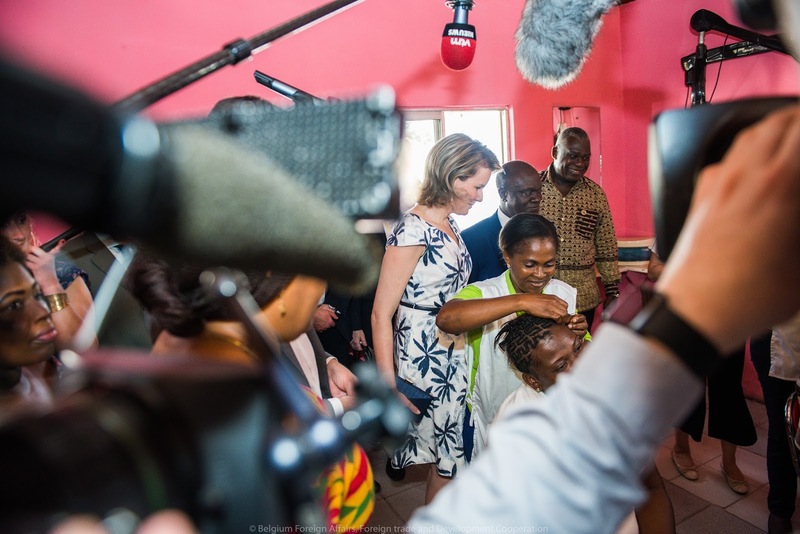 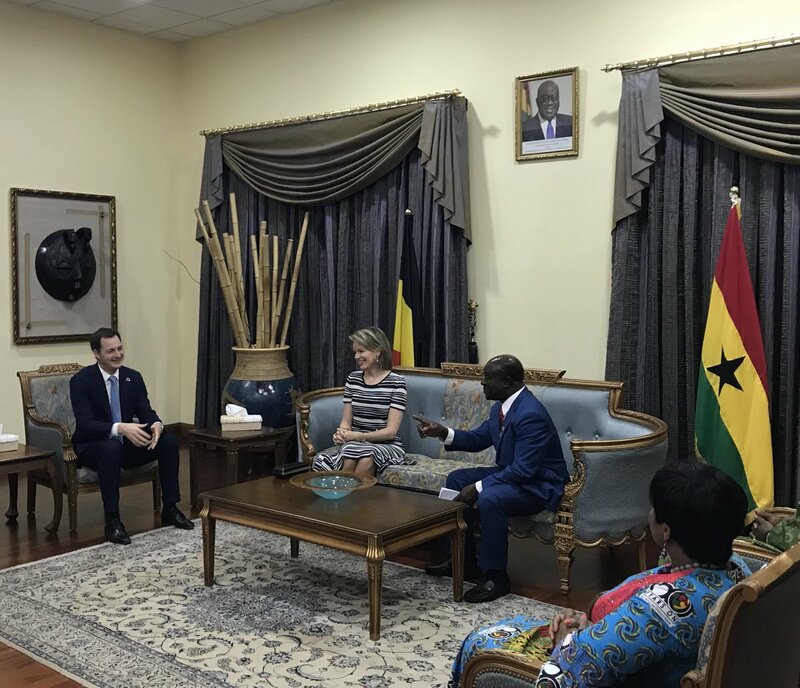 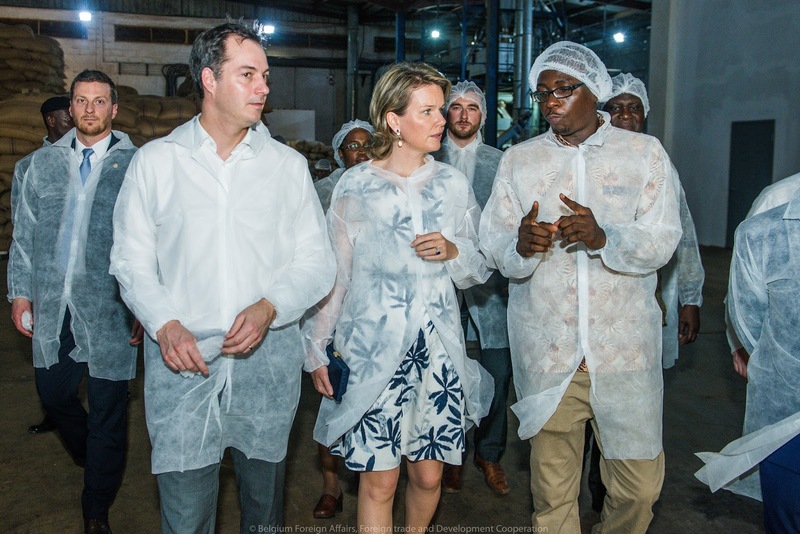 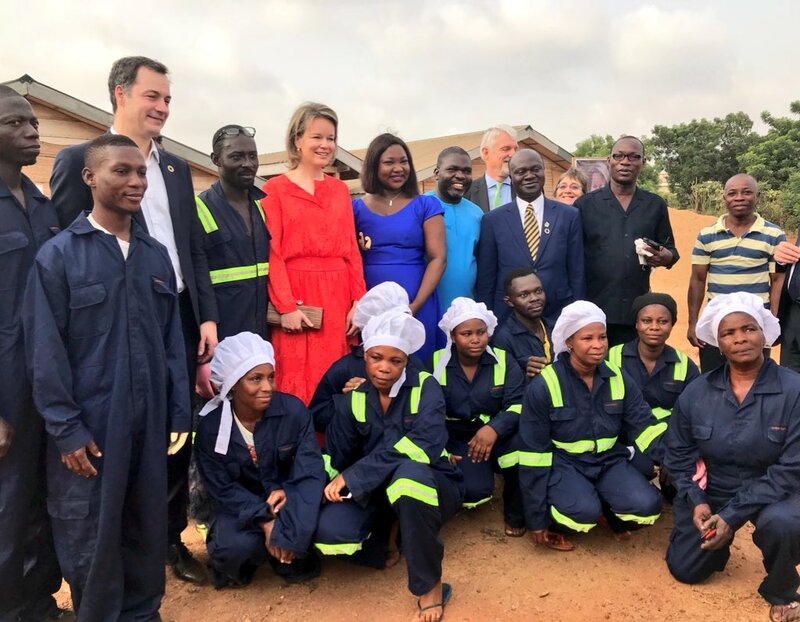 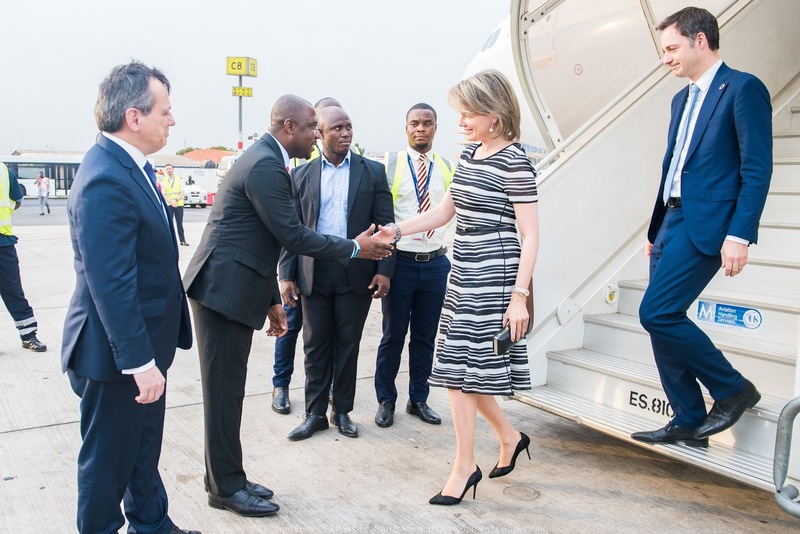 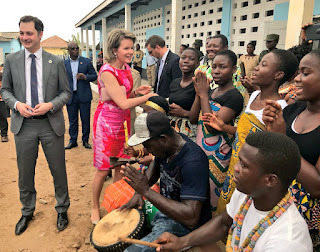 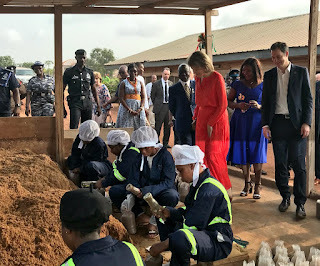 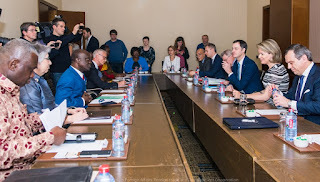 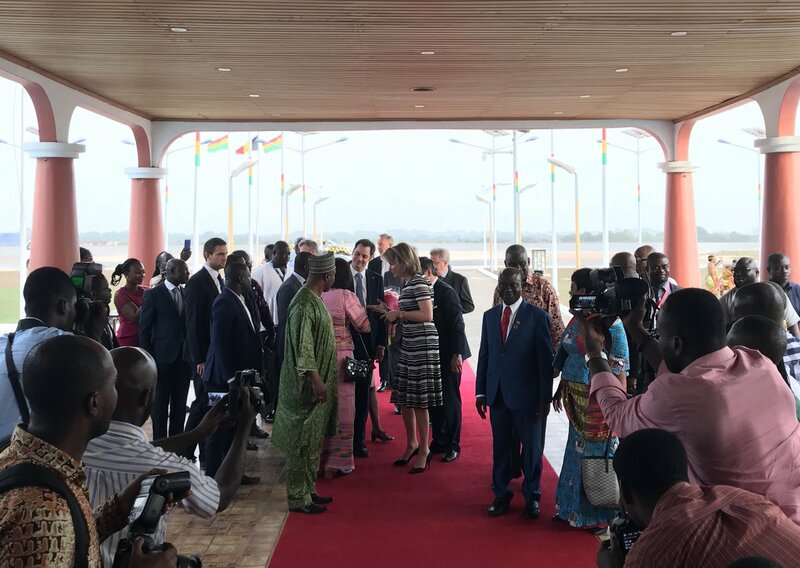 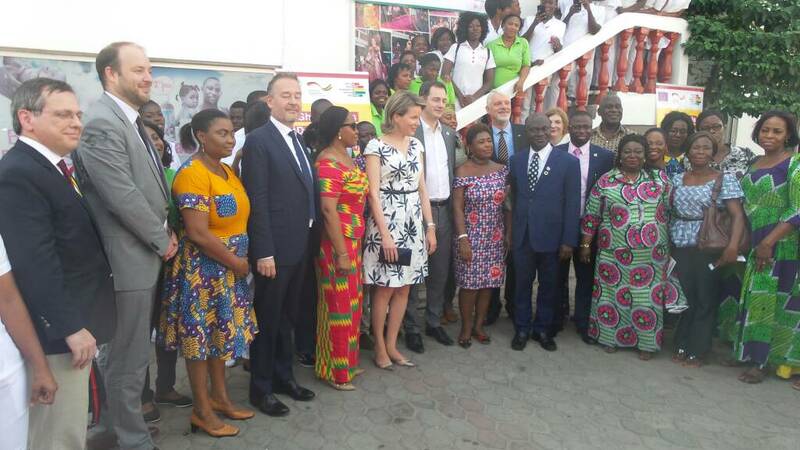 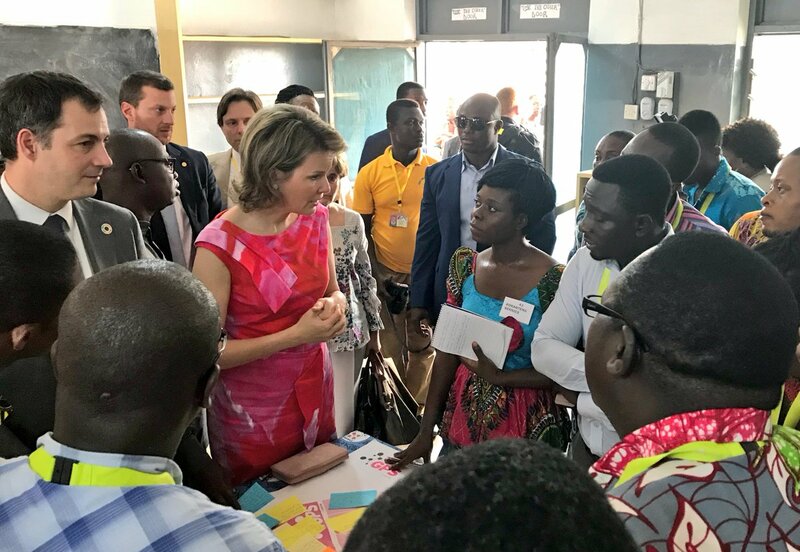 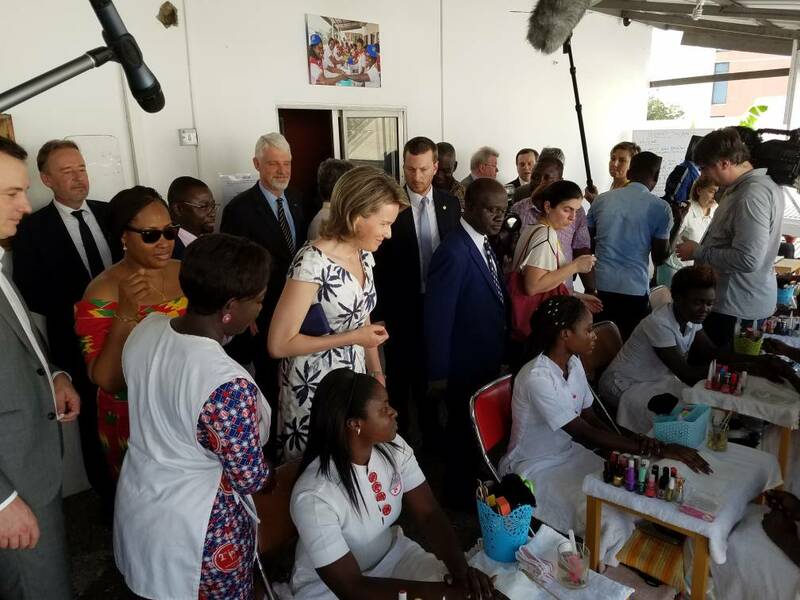 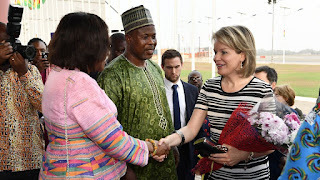 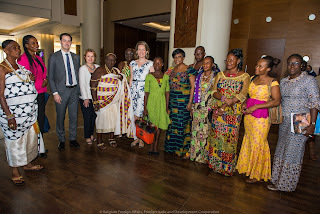 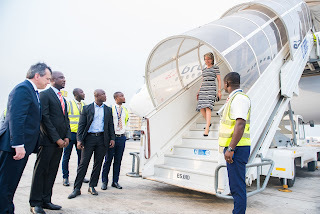 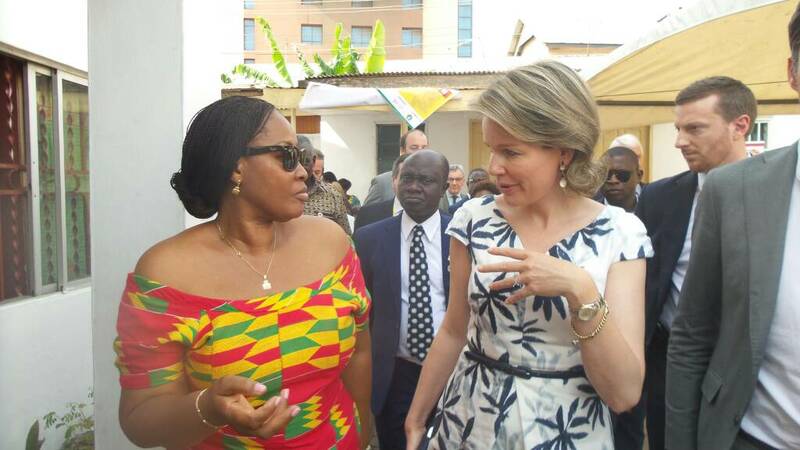 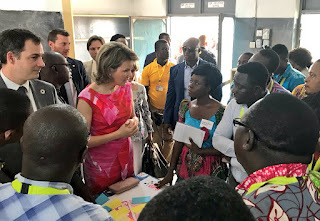 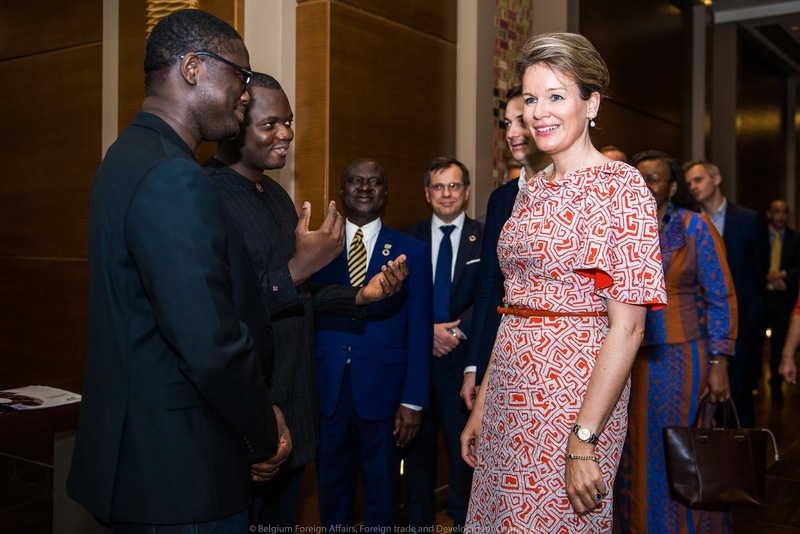 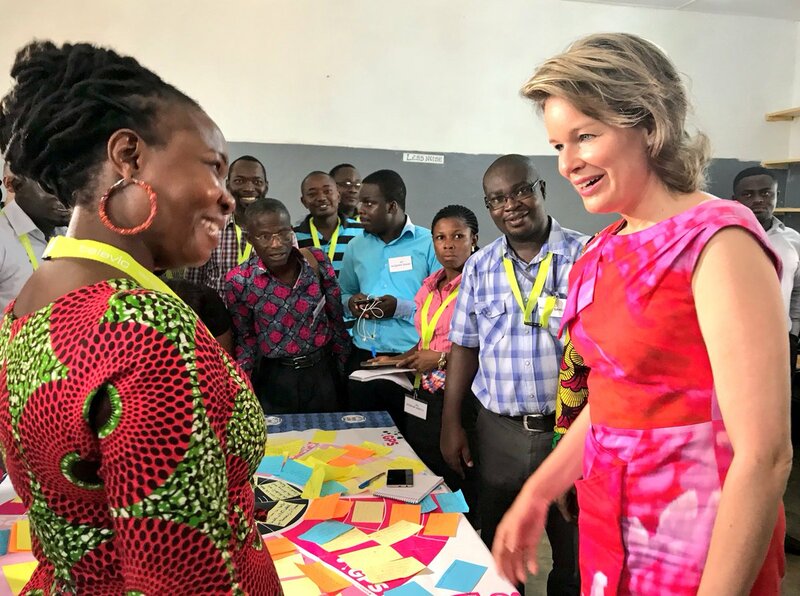 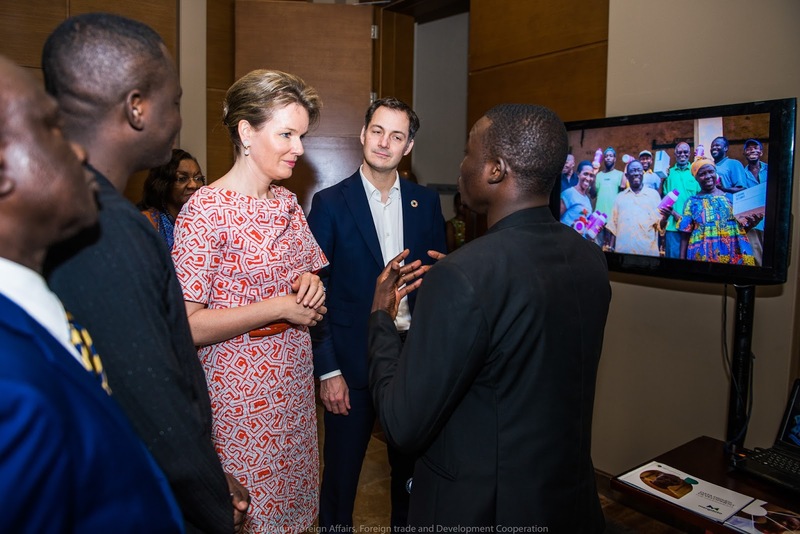 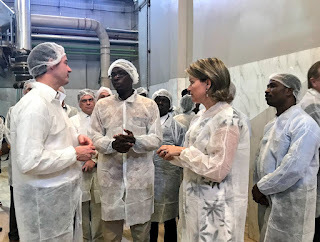 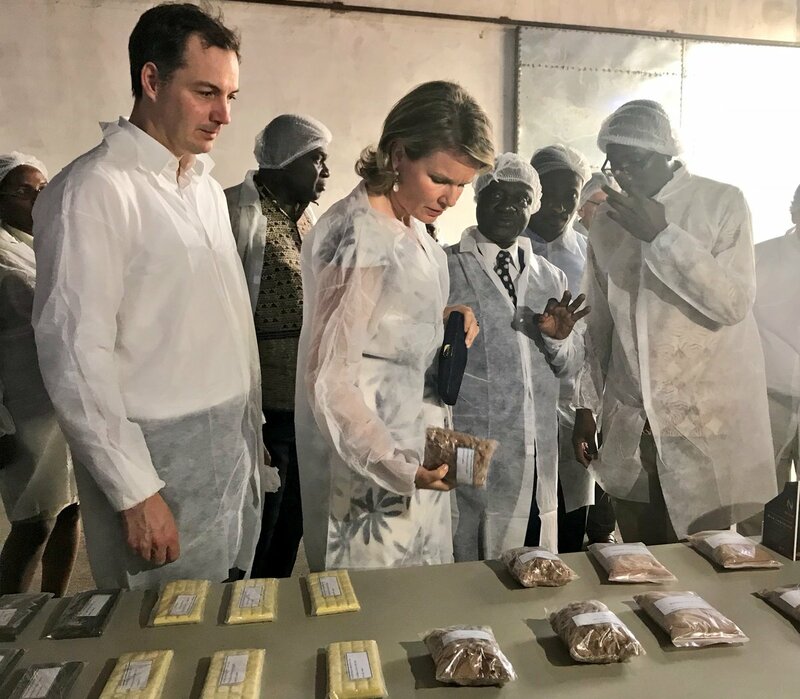 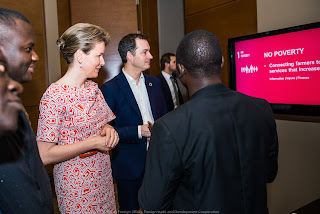 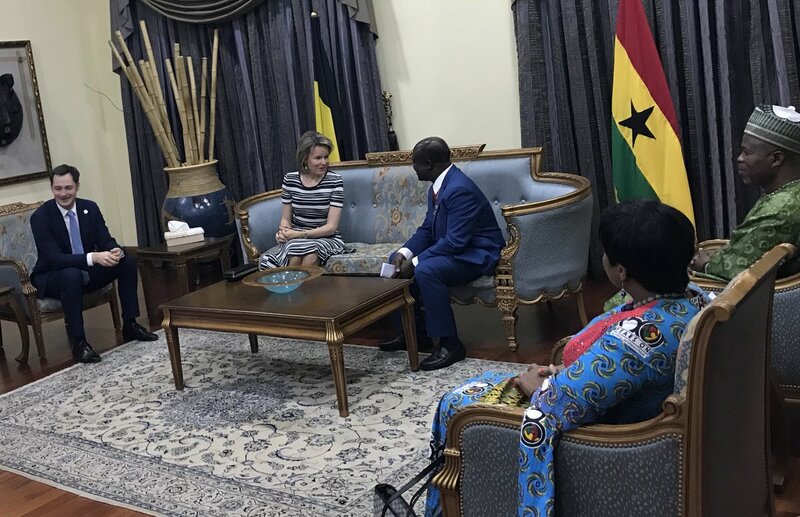 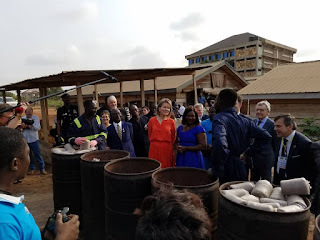 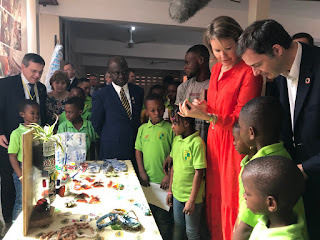 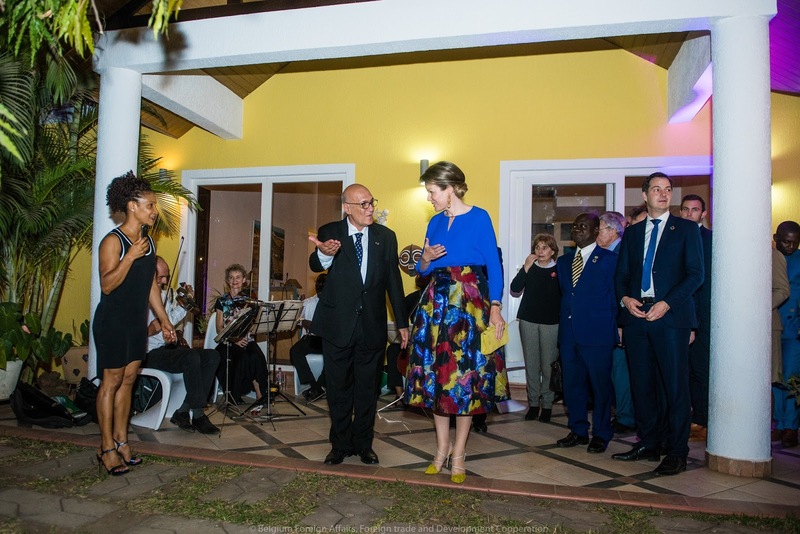 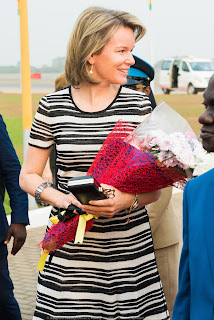 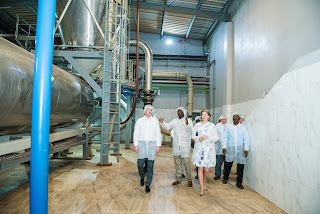 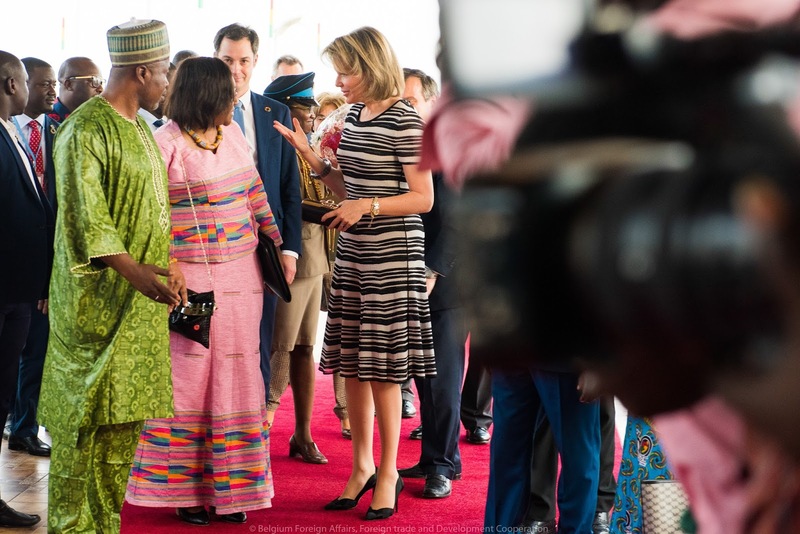 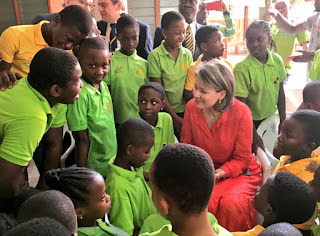 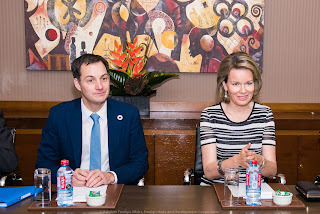 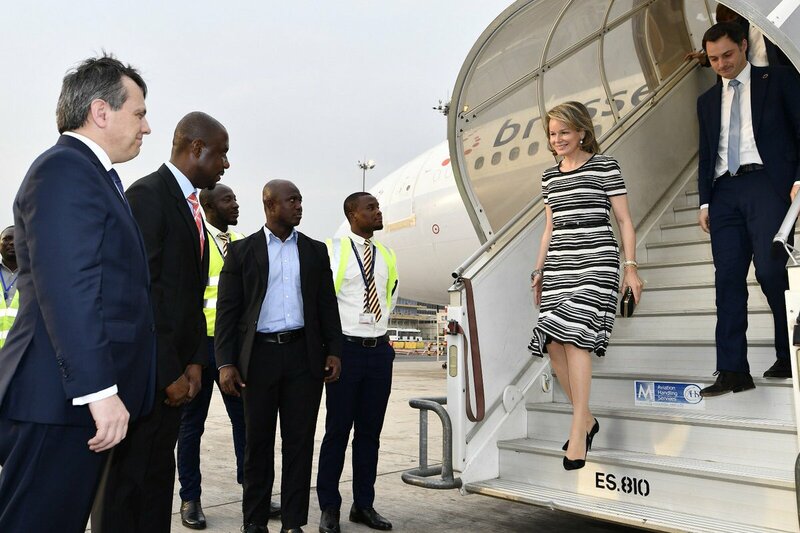 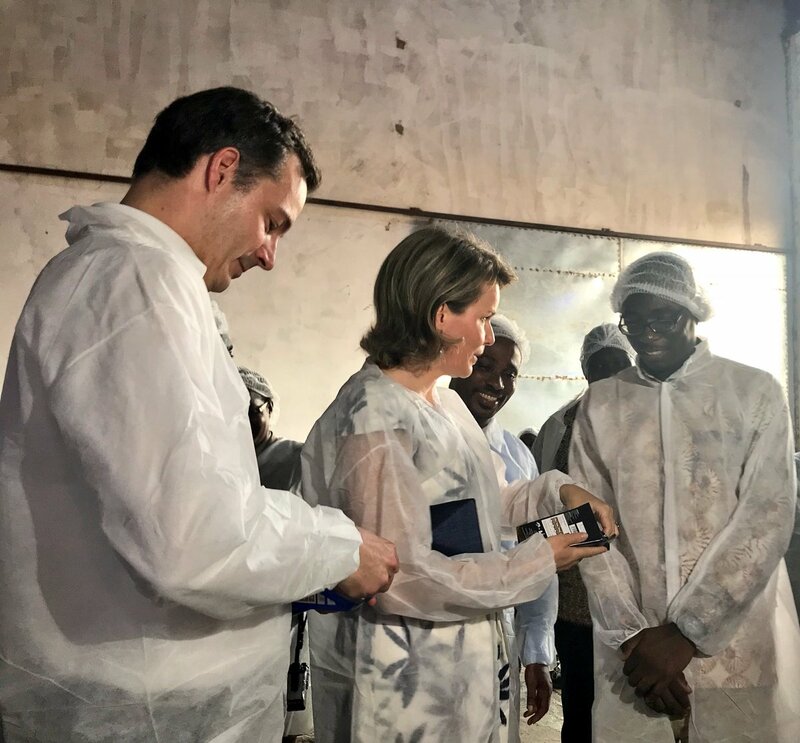 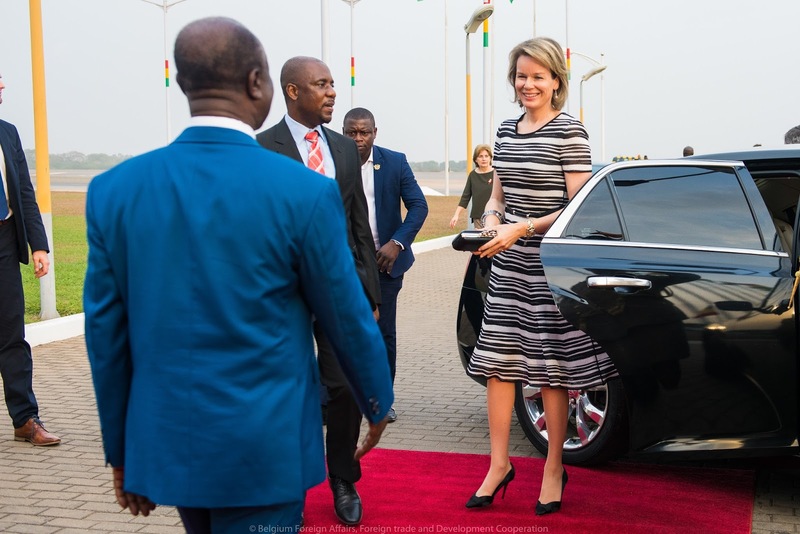 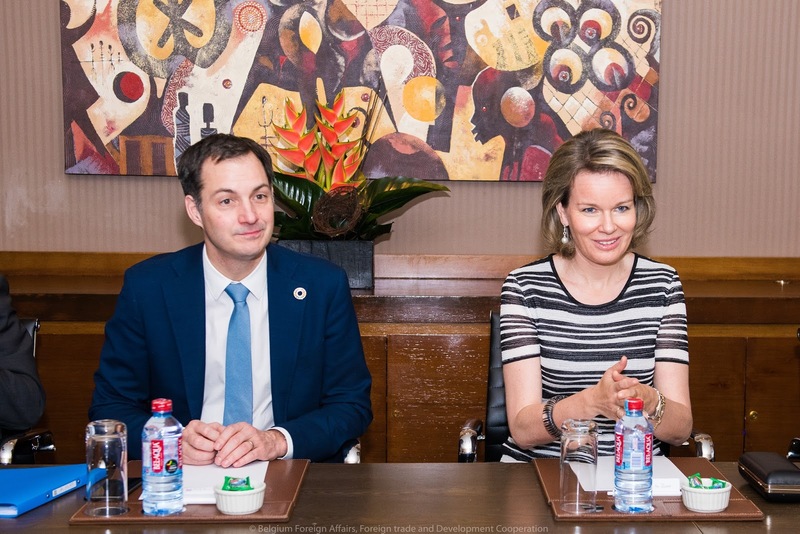 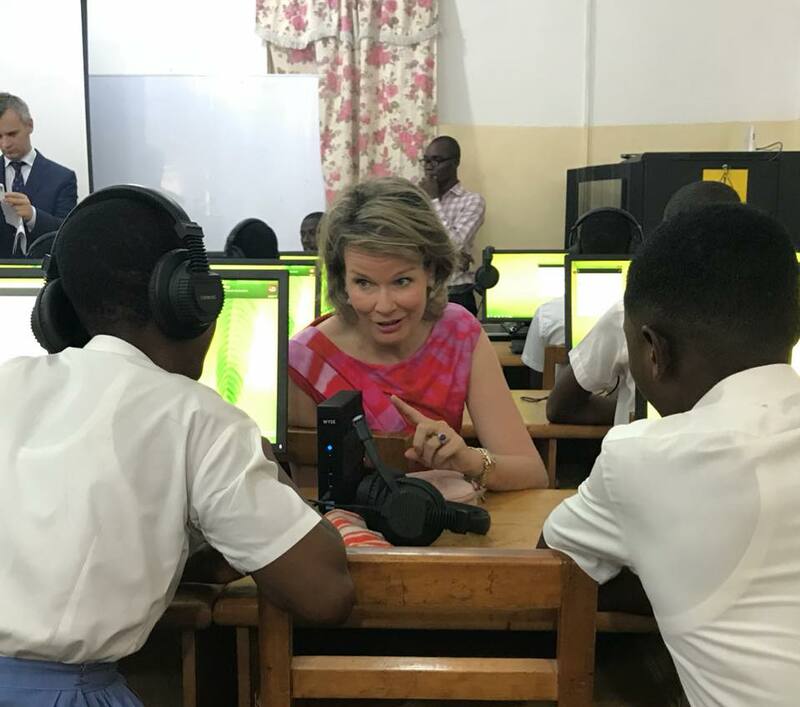 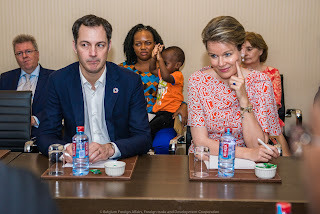 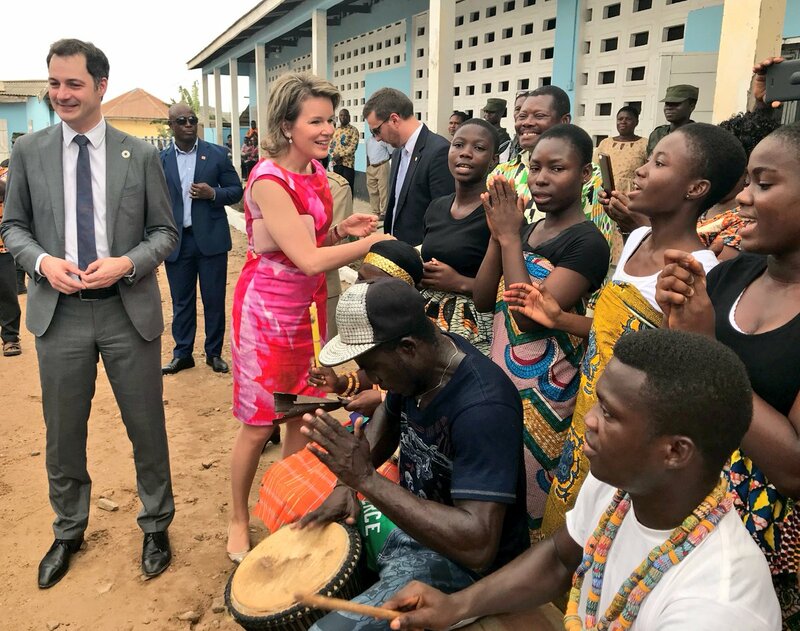 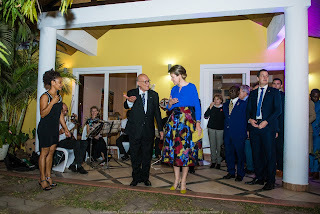 As SDG advocate for the UN, queen Mathilde visited Ghana from the 7th to the 9th of February 2018. She focused on local good practices that benefit the education of girls, female empowerment, gender equality and mental health care. 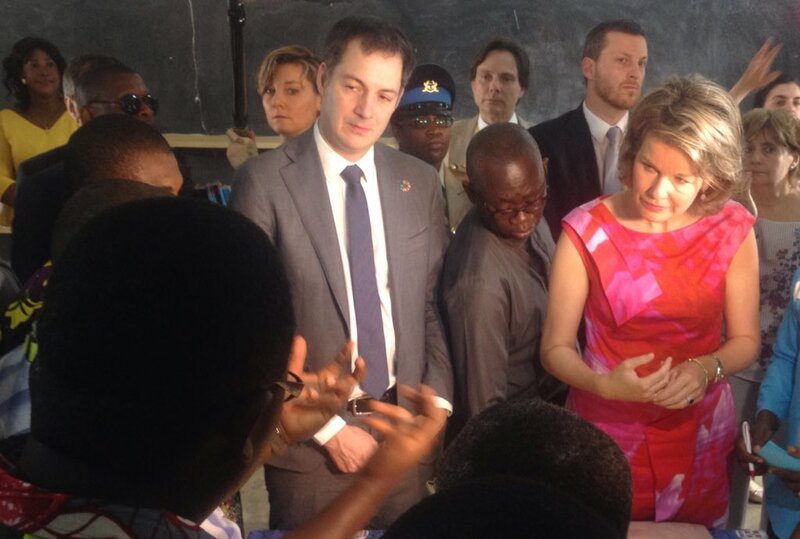 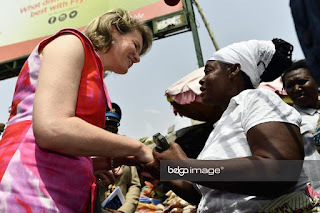 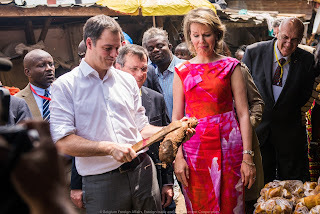 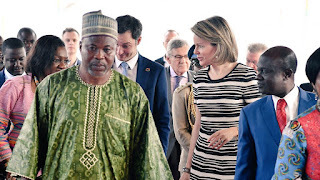 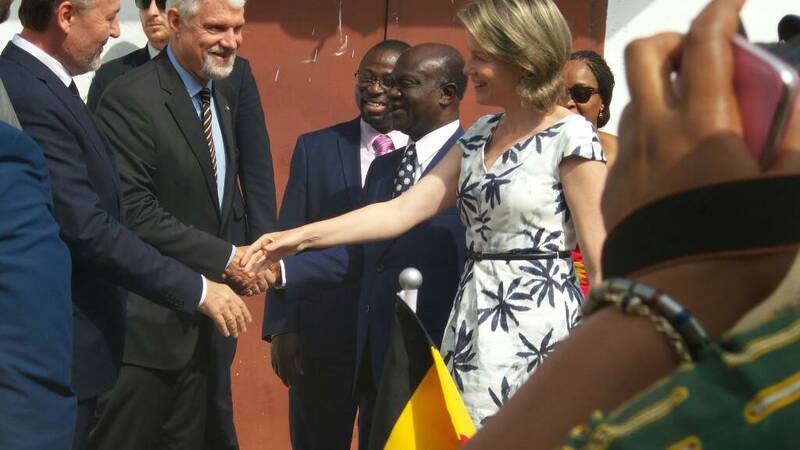 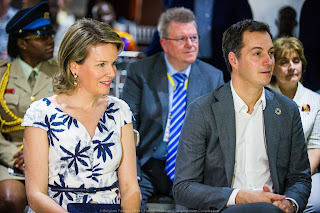 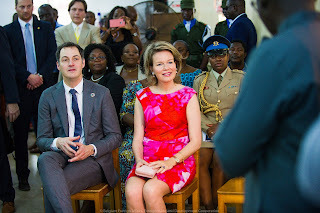 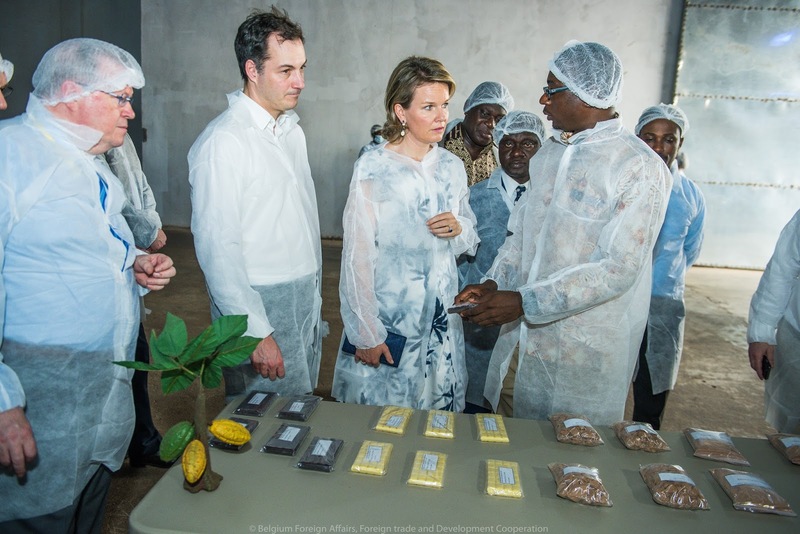 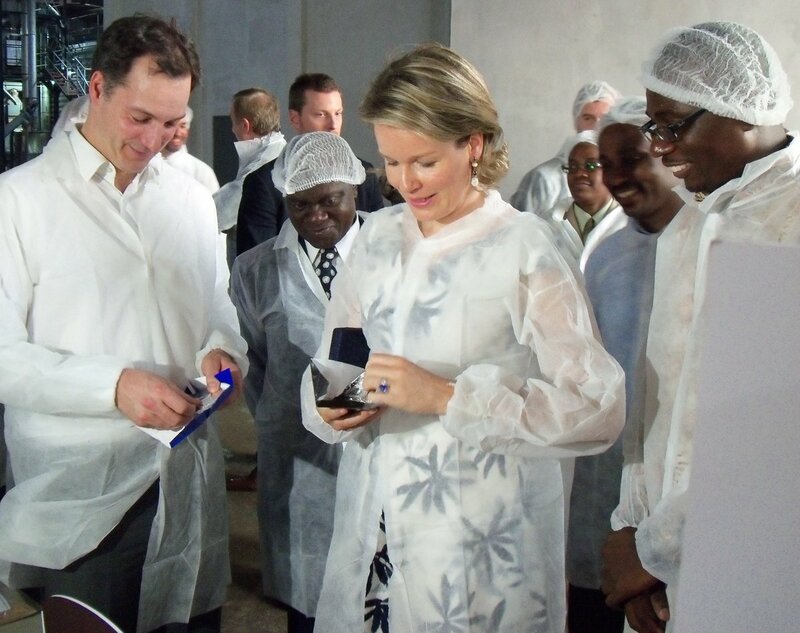 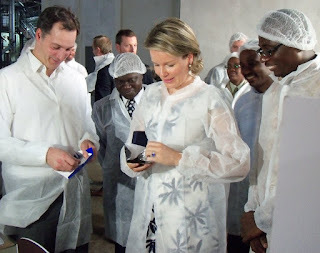 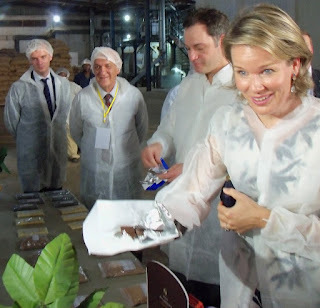 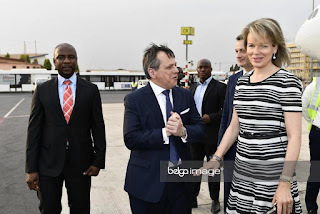 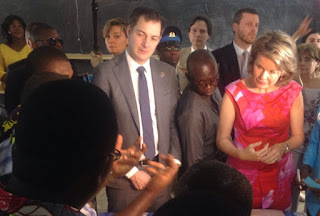 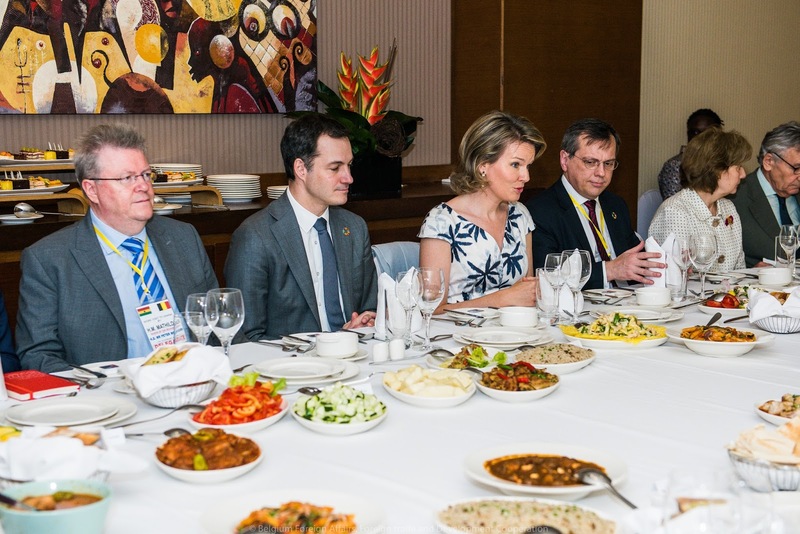 Queen Mathilde was accompanied by Belgian Minister for Development Cooperation, Alexander De Croo. 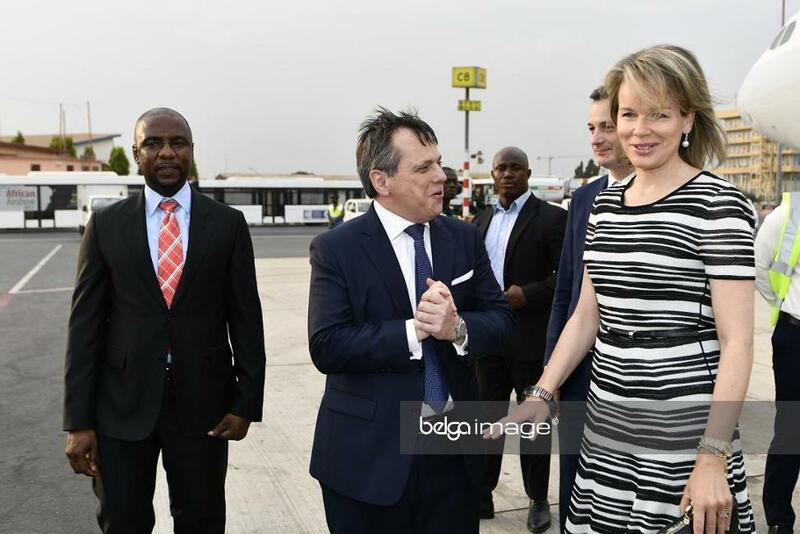 With the Belgian ambassador for the region, Hugues Chantry. 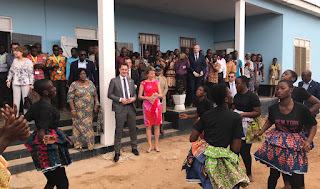 Visit to the Teshie Presby High School where an e-learning project is set up with the help of Belgian funds. 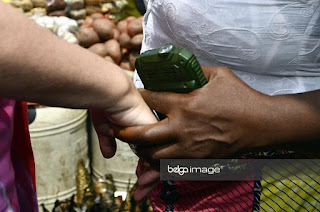 At the Makola market in Accra. 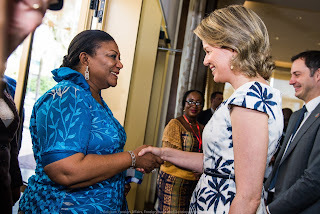 At noon there was a lunch with the first lady of Ghana, Mrs Rebecca Akufo-Addo. 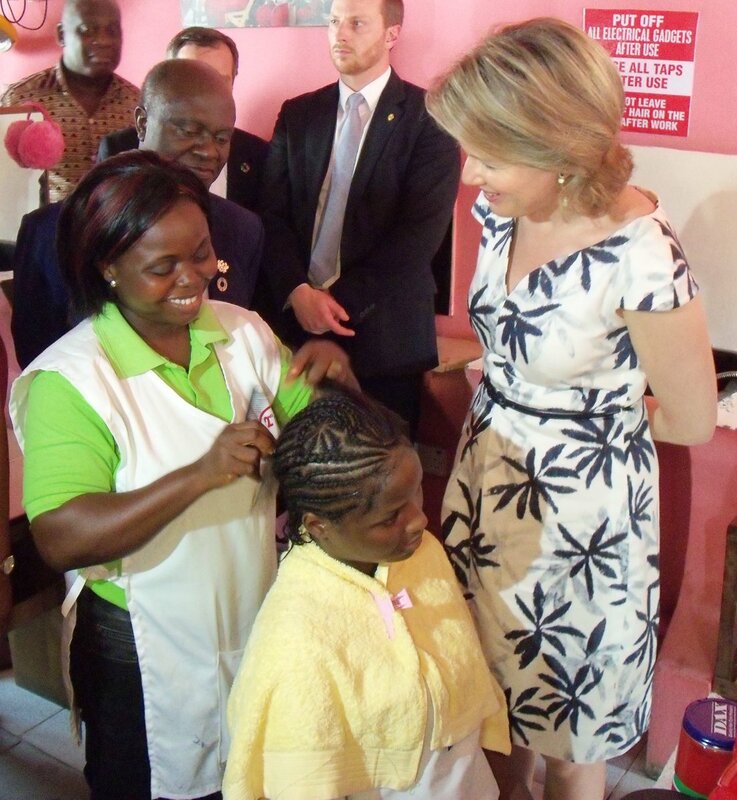 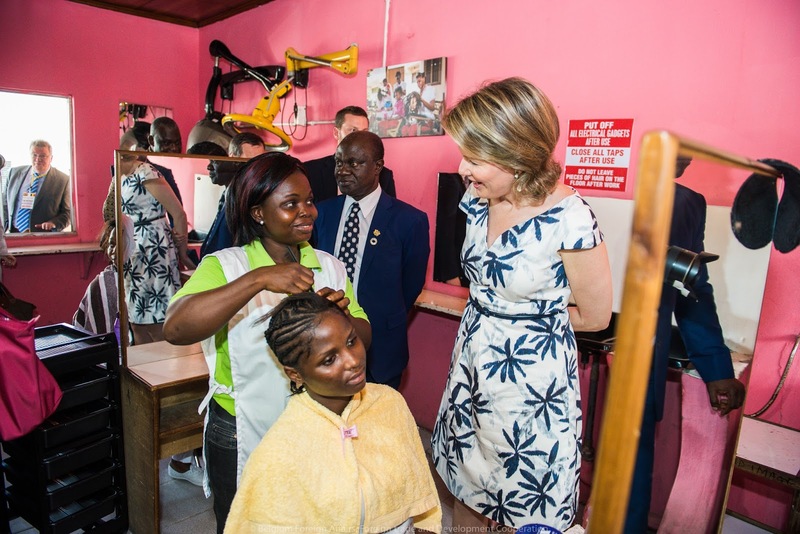 Then the queen and her delegation visited a vocational support centre where girls are being trained to become hairdressers, fashion designers or beauticians. 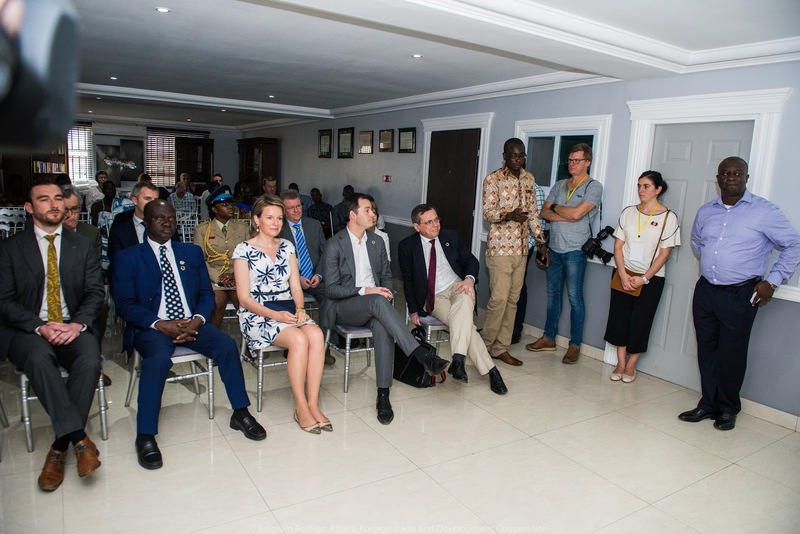 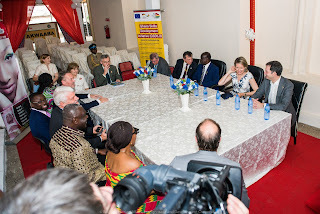 Mathilde was accompanied by the German ambassador and EU representatives. 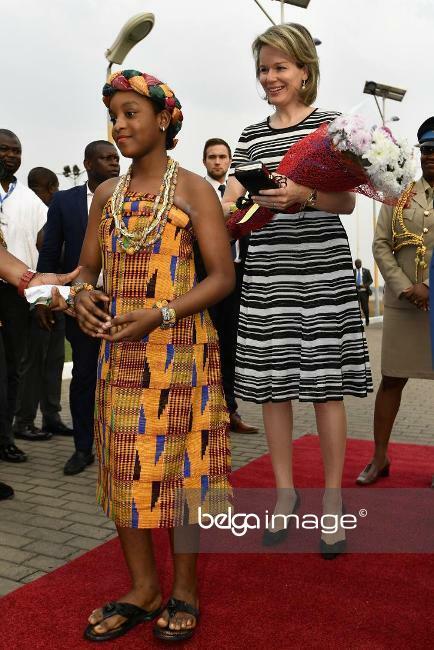 The queen was able to talk to a young woman who had been married off as a teenager. 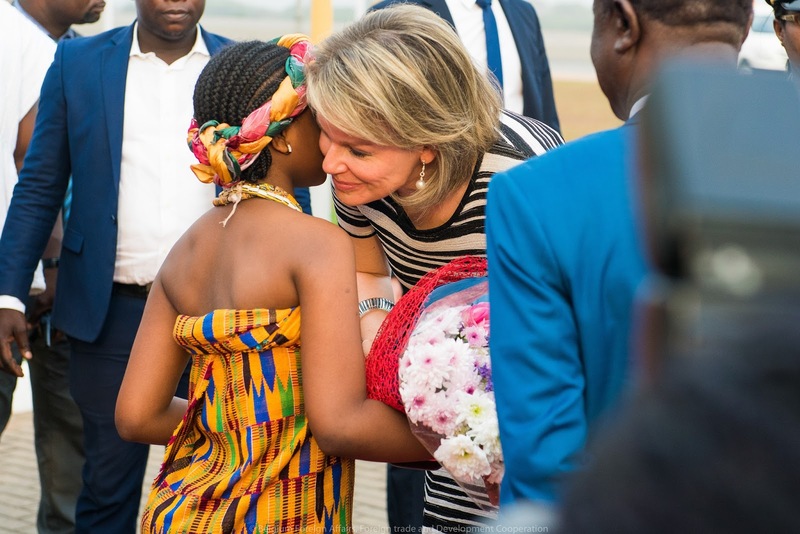 For Mathilde this was the most emotional part of her work trip to Ghana. To a reporter she said: "Did you notice how the girl never smiled? 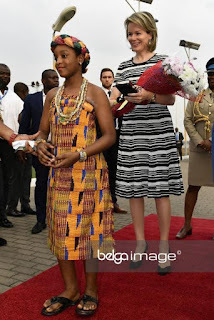 She's the same age as my daughter: 16. 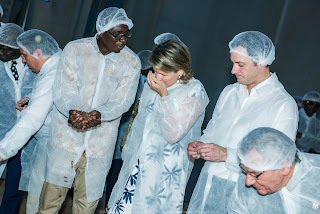 It was very hard for me to think about that. 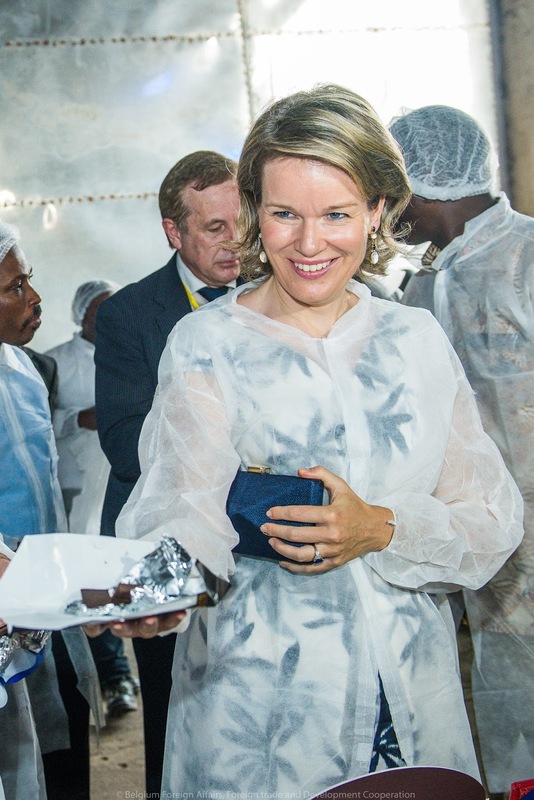 But the good thing is: it's out in the open and debatable." She added: "I always talk about my work with my children, also with my husband - so the SDGs are present at home too. 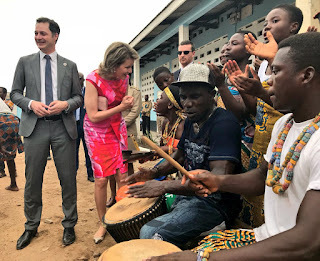 They're everywhere. 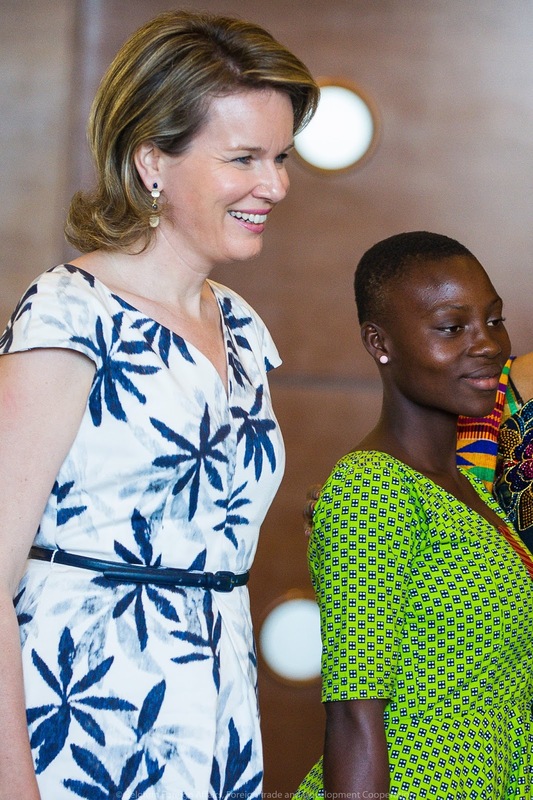 We're all of us responsable to make the future better for the next generation." 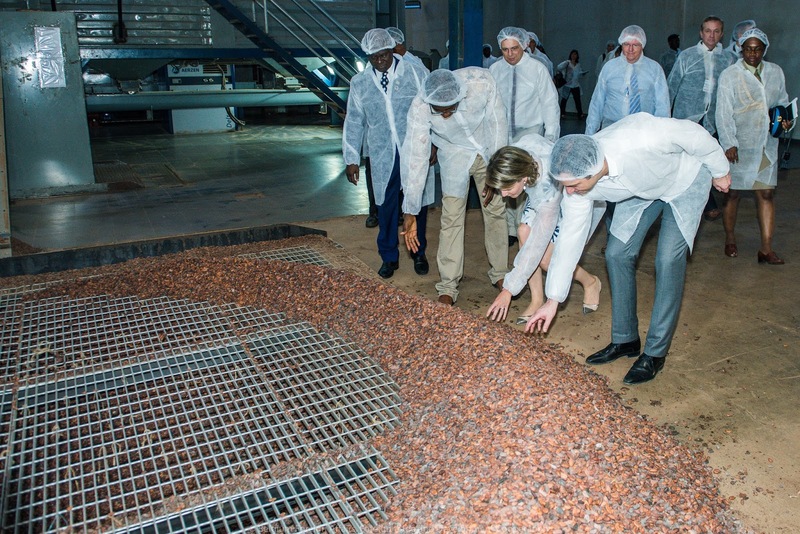 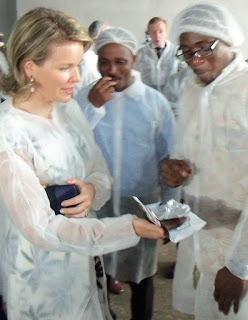 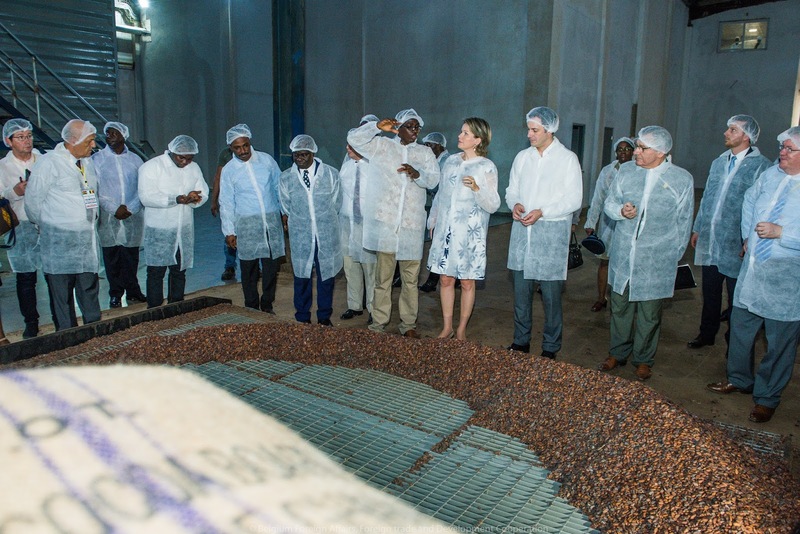 Afterwards, Mathilde was shown a fair trade cocoa factory that works with local suppliers. 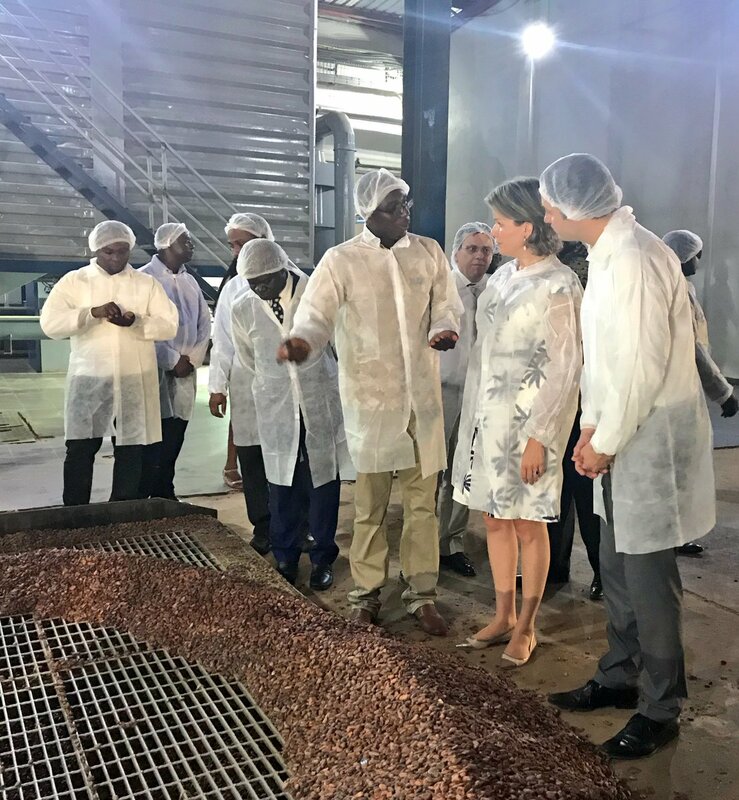 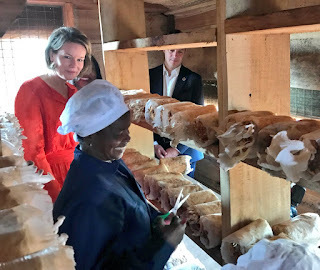 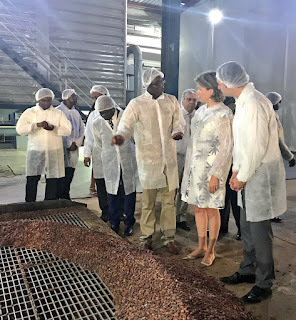 The day started with a visit to Promush Mushroom Project that ensures sustainable produce and employment for women and young people. 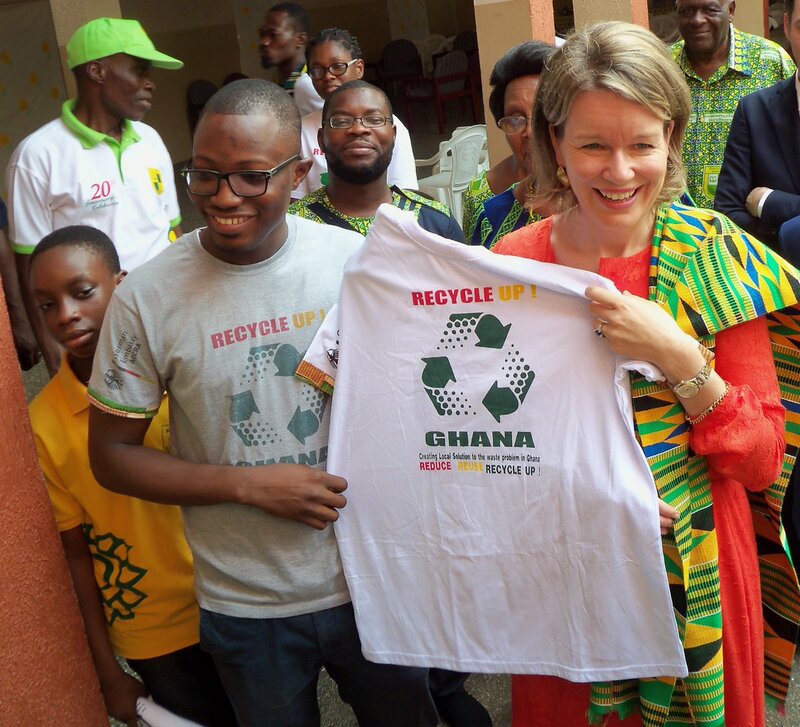 At the Sunflower School, just outside Accra, the project "Recycle Up Ghana" teaches young people about pollution and a clean environment. 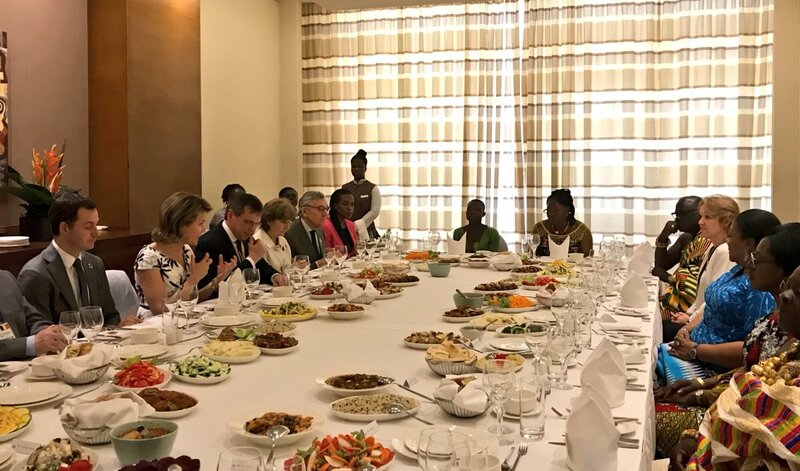 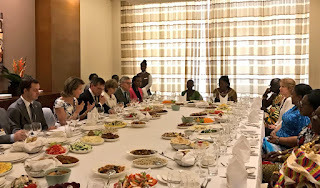 At noon, Mathilde's fellow SDG advocate, president Nakufo Addo of Ghana hosted a lunch. 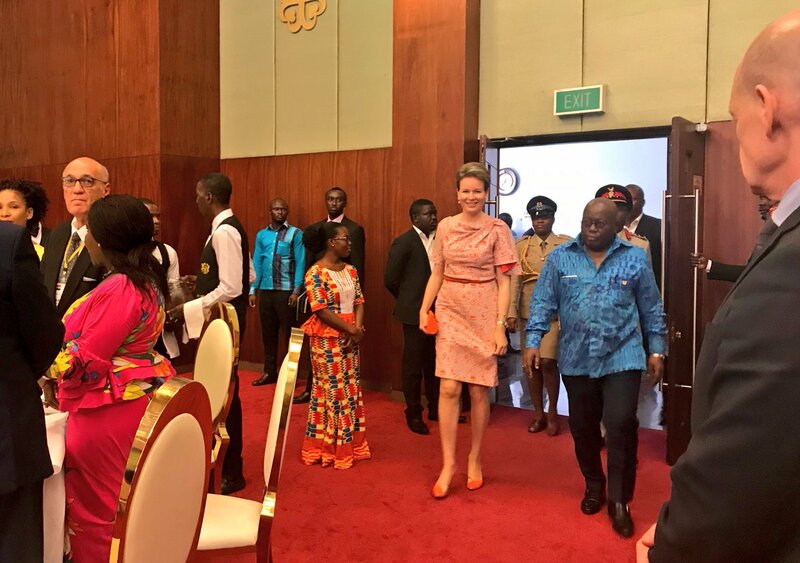 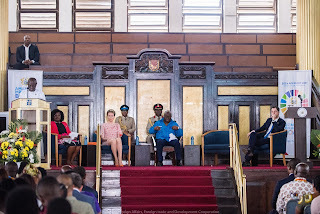 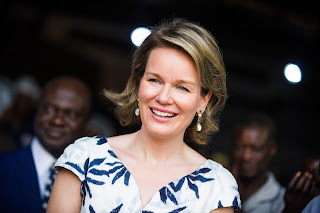 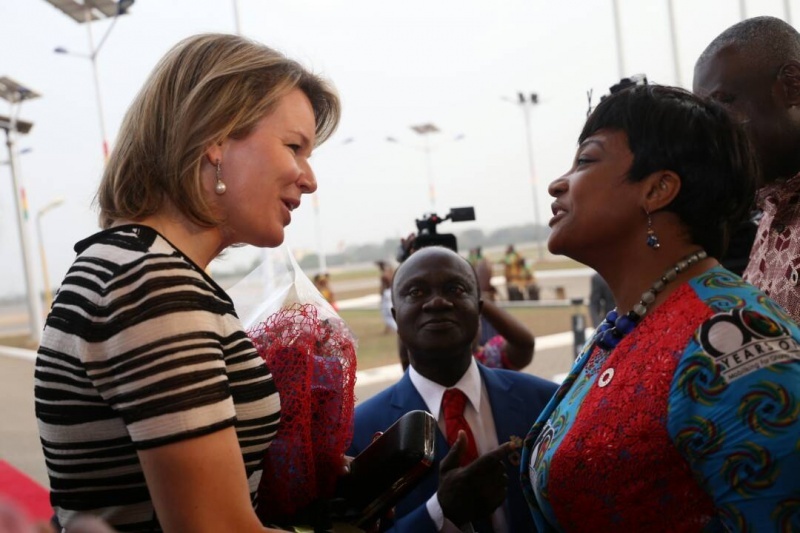 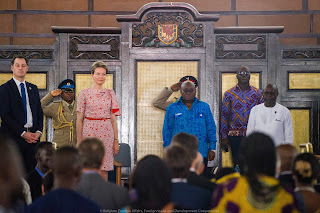 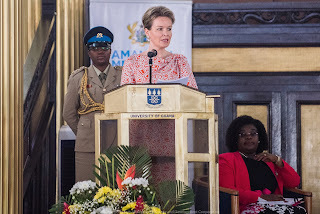 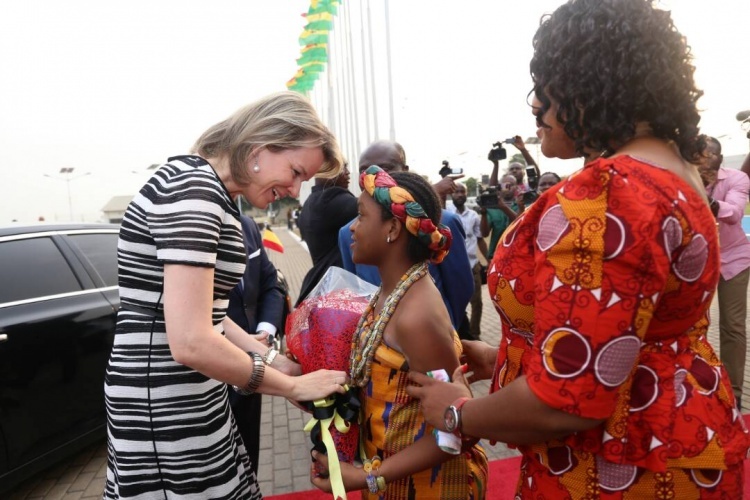 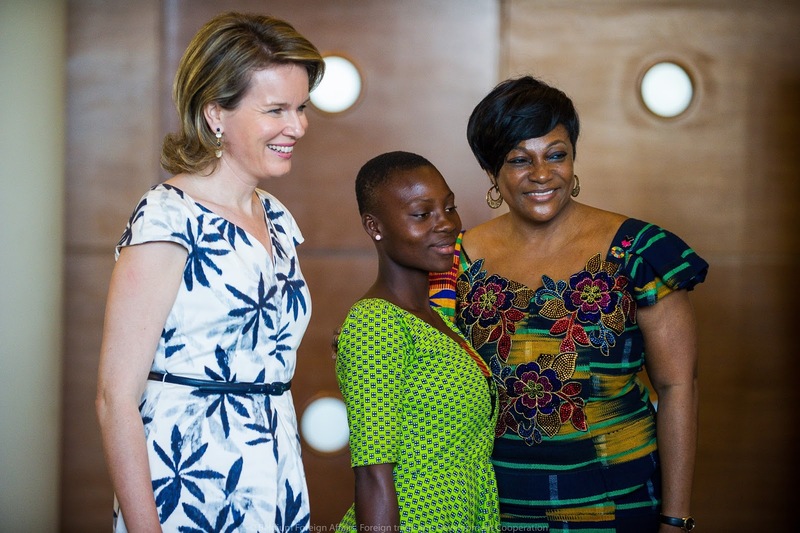 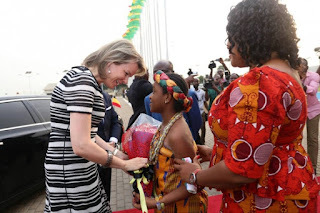 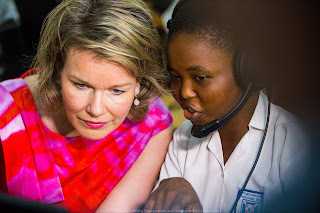 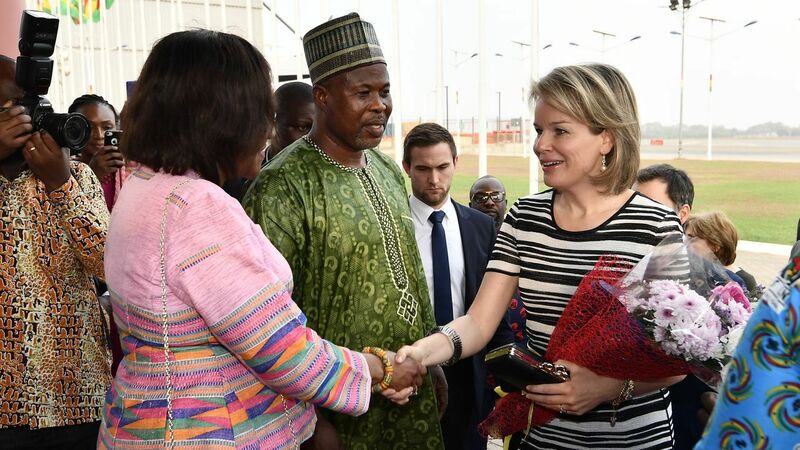 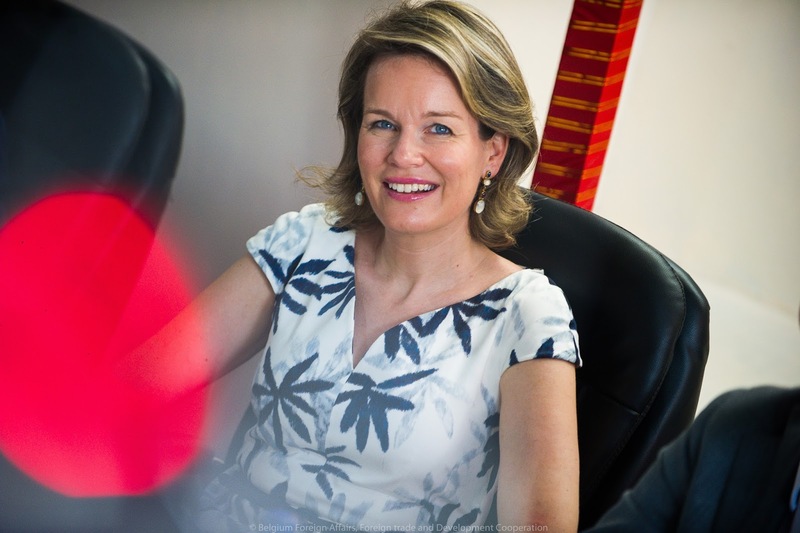 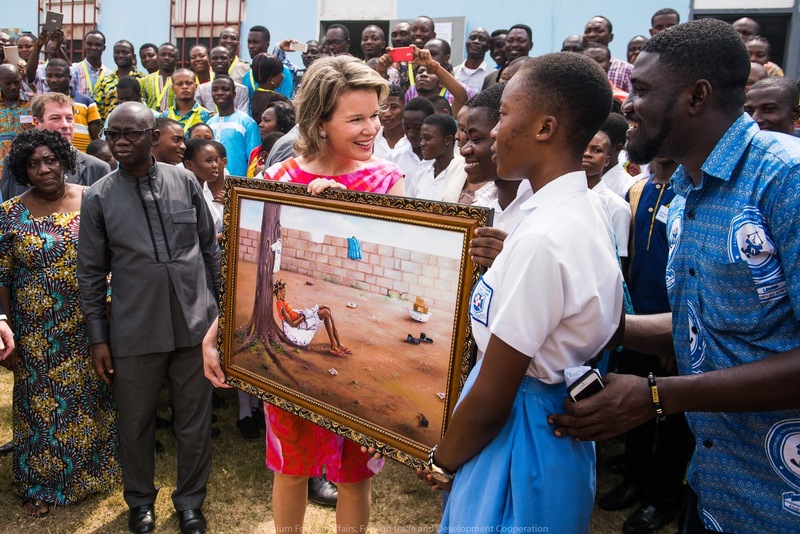 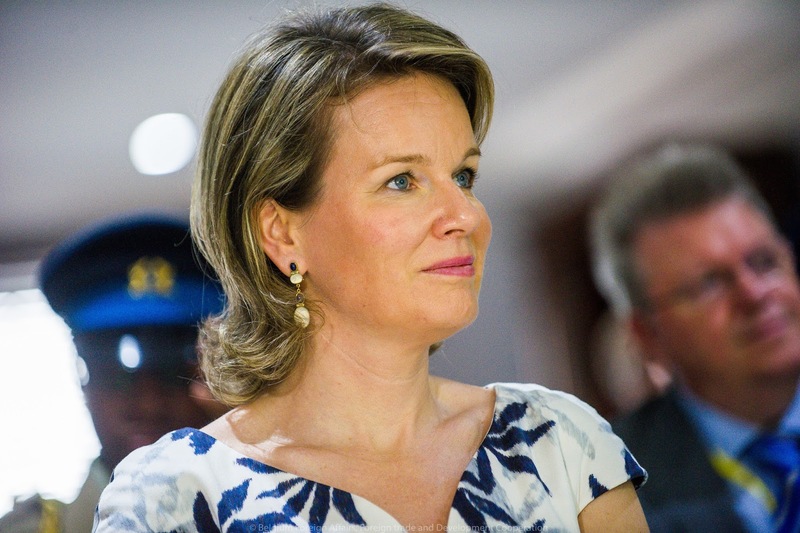 Queen Mathilde delivered a keynote speech at the University of Ghana. 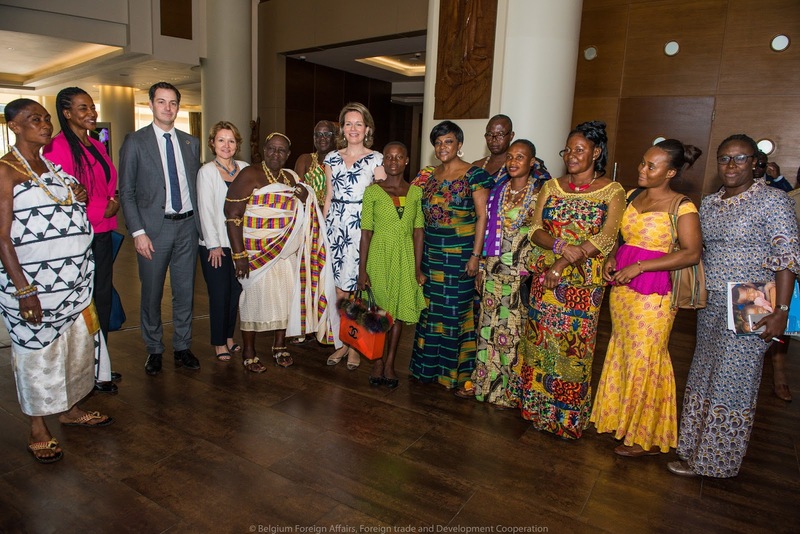 A meeting with the people of "Farmerline", who won the King Boudewijn Prize for Development in 2017. 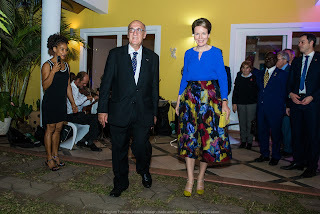 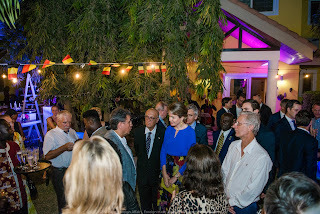 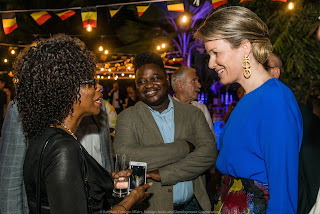 At night a Belgian-Ghanese reception concluded the visit.